Shop the town on August 11 and 12 to take advantage of the annual Sidewalk Sale. Participating shops will have sales and weather permitting, stock outside for you to browse under the sunshine! 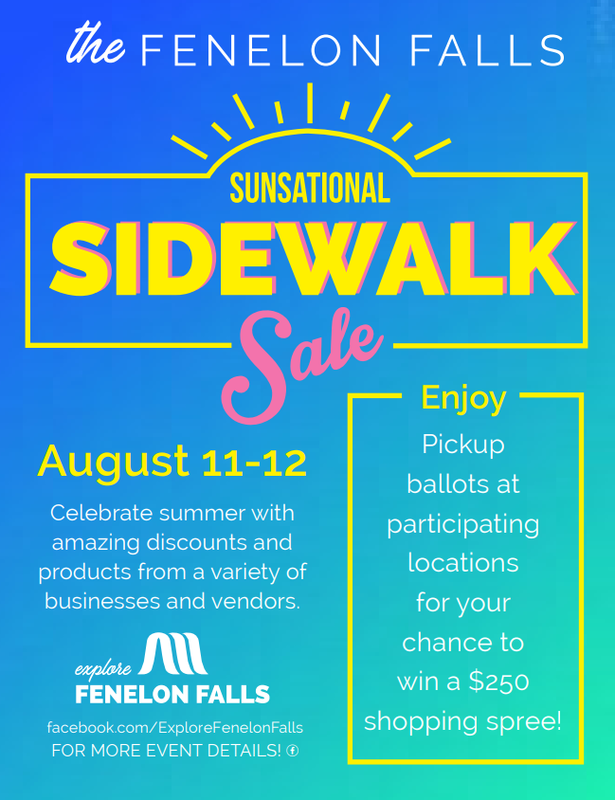 In addition to the great sales, pick up ballots at participating stores to enter into a draw for a chance to win a $250 shopping spree in Fenelon Falls. Treat yourself, or even get a jump on your holiday shopping - see you August 11 and 12 for the Sidewalk Sale.